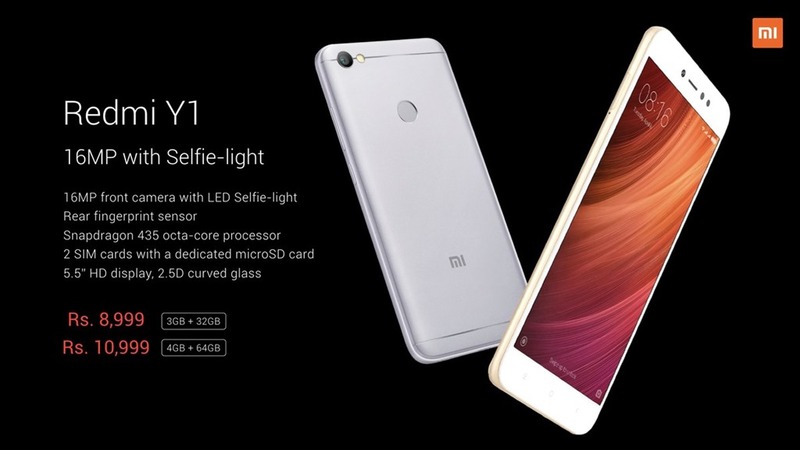 The Redmi Y1 is the new Selfie smartphone series, which Xiaomi had been teasing about over the past week, and it has just been announced in India. 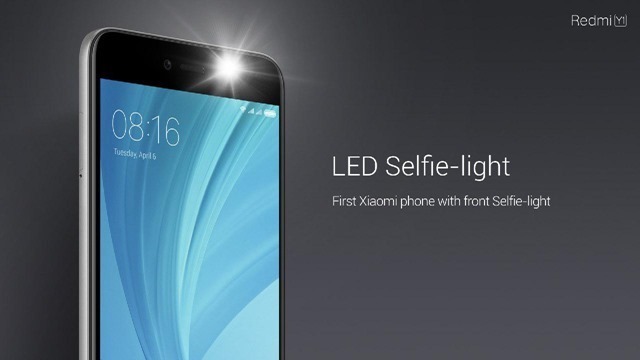 The phone is the first Xiaomi device to feature an LED selfie-light. 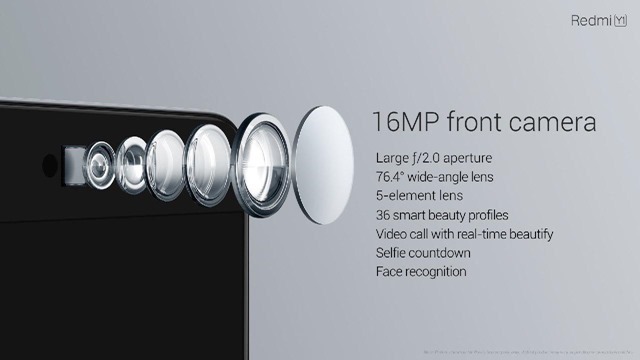 The front camera has a 16 megapixels sensor, with an f/2.0 aperture, 5-element lens and can take selfies in up to 76.4° wide-angle. The camera app on the Redmi Y1 has 36 smart beauty profiles, selfie countdown and face recognition. Xiaomi says that the real-time beauty (beautification) works in video calls too.The phone's rear camera is a 13 megapixels lens, with an f/2.2 aperture, PDAF, HDR, Face-recognition, real-time filters, and an LED Flash. The fingerprint scanner is placed on the back panel of the device, and can unlock it in 0.3 seconds. 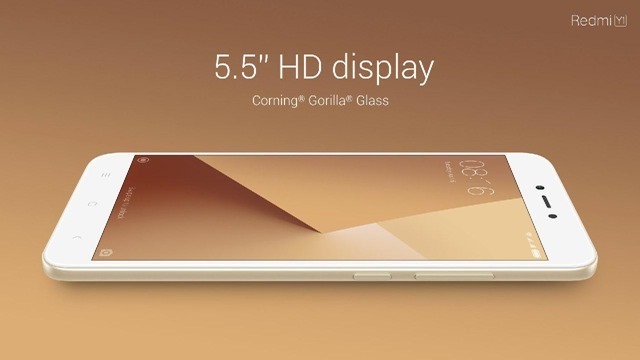 The Redmi Y1 has a 5.5-inch 720p HD display with 2.5 curved flass, and is protected by Corning Gorilla Glass. The phone runs on MIUI 9 which has also been announced today. 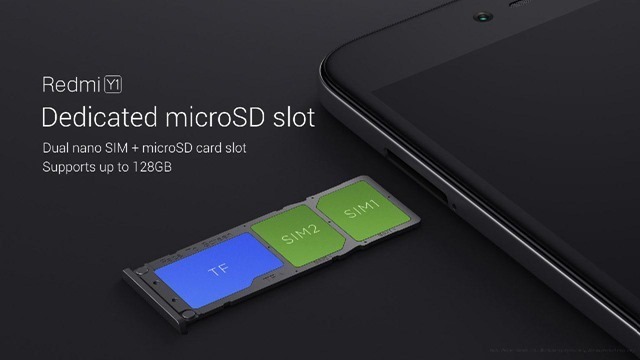 The device is powered by a 64-bit octa-core Qualcomm Snapdragon 435 processor, and will be available in 2 variants: one with 3GB RAM and 32GB of storage and the other with 4GB memory and 64GB of storage. Both variants support Dual nano-SIM cards and have a dedicated microSD card, which supports up to 128GB of expandable memory. 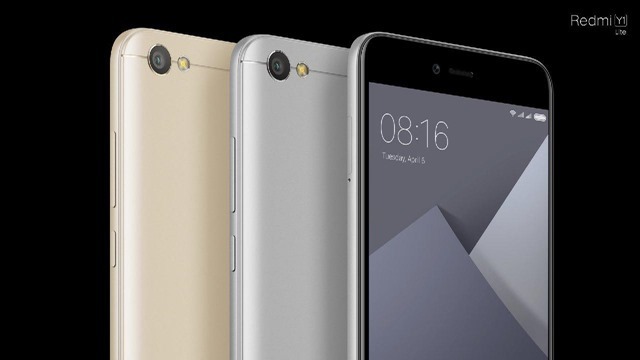 The Redmi Y1 has an aluminum alloy for its frame. There is an infrared sensor on the phone, just like all of Xiaomi's devices. The Redmi Y1 has been priced at Rs. 8,999 for the 3GB RAM variant, while the 4GB model costs Rs. 10,999 in India. 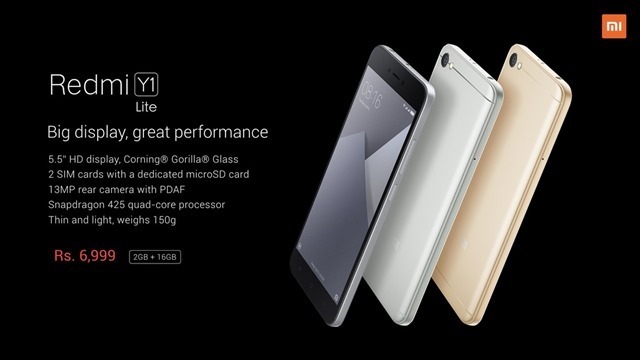 A similar phone called the Redmi Y1 Lite was also announced today. It has a Qualcomm Snapdragon 425 processor, 2GB RAM, 16GB memory and a 13MP rear camera. The RedmiY1 Lite has been priced at Rs. 6,999 in India. The phone will be available in three colours.